On Sunday I had a less-than-steller practice. It was a series of small things that add up to fundamentally failing. It was a carry-over from Friday where I had a similar experience. 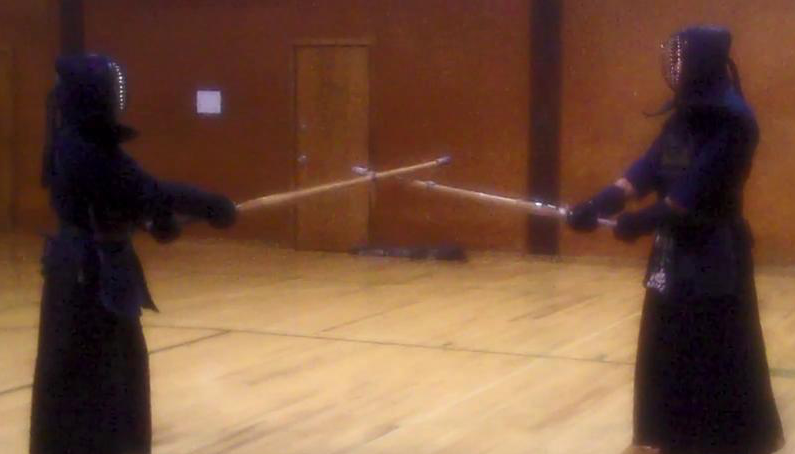 Kendo is so much more than hitting. It is the before and after of a strike, including the presence one gives off to others when one walks into the dojo. It is not having equipment failures (zekken askew, men himo fitted correctly, hakama the right length, shinai in good condition, etc. ), it is meditating fully before class, and committing fully to everything once practice begins. After my practice on Sunday I spoke with a fellow practitioner who also trains there but is from my club. We talked about practice and our challenges, including some personal things that I will not share here. It was a liberating conversation, so unexpected and yet so needed. I walked away realizing that fully committing to practice is to fully commit to kendo as an entire concept. It is only by doing so that one can be able to deliver a strong kiai, a beautiful swing, and zanshin. The strike begins before the strike. It is only with complete commitment long before one enters the dojo. Only then is one able to successfully commit 100% to kendo, or anything they do.